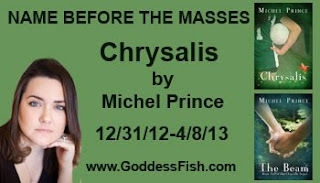 Goddess Fish Promotions is organizing a Virtual Book Tour for Chrysalis by Michel Prince, a YA Paranormal (Mature YA) available now from Rebel Ink Press. The tour will run on Mondays only from December 31, 2012 through April 8, 2013, and Michel is available for guest post and interviews. A PDF copy of the book is available for review in conjunction with a guest post or interview. Mean Old Library Teacher Can host February 4th. We'd like to do a guest post, too. I'd like to host on 1/28 with an interview, please. Thanks so much! 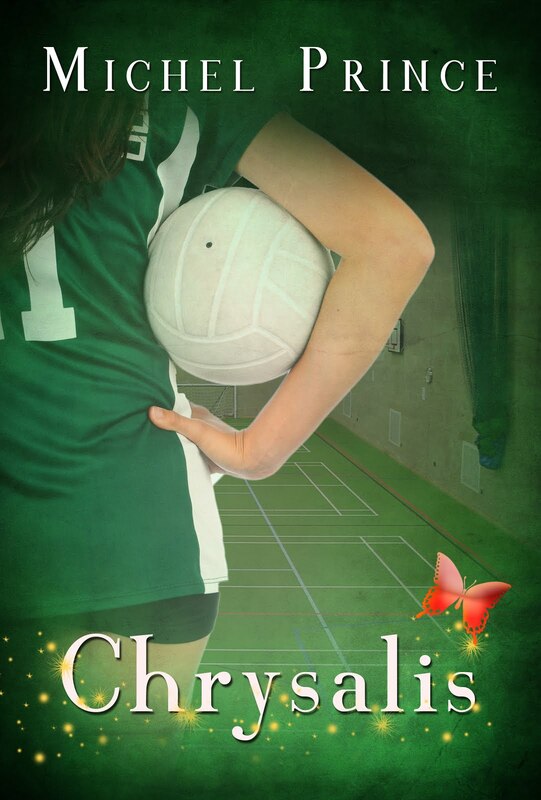 YA Book Addict can host a guest post and link to my review of Chrysalis on February 11. I can do January 14. Teacherwriter.net blog. I can host at Realmantic Moments on February 18 if it's still open. We're interested in March 11, if that is still available, at Book 'Em North Carolina.